Chez Palmiers: a very New Orleans B&B with an international twist! Our three very different rooms all have their own individual stye. 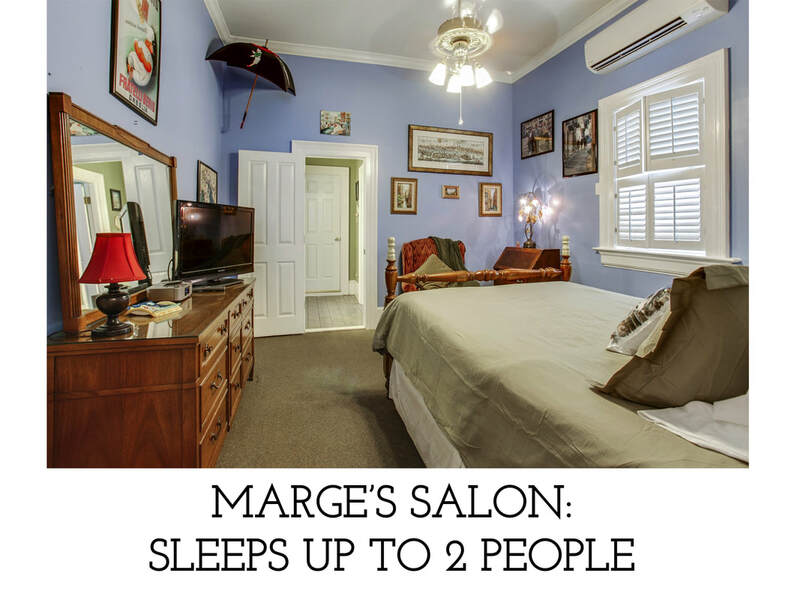 They all have Queen beds, private baths, TVs, refrigerators and individually-controlled air conditioning. There's open access to the dining room and out to the deck and pool area. A fresh continental breakfast is served every morning, with yoghurt, fruit, cereals, bread, juices and coffee (including an espresso machine for latte or café au lait). There's also a free, fast and secure WiFi connection. 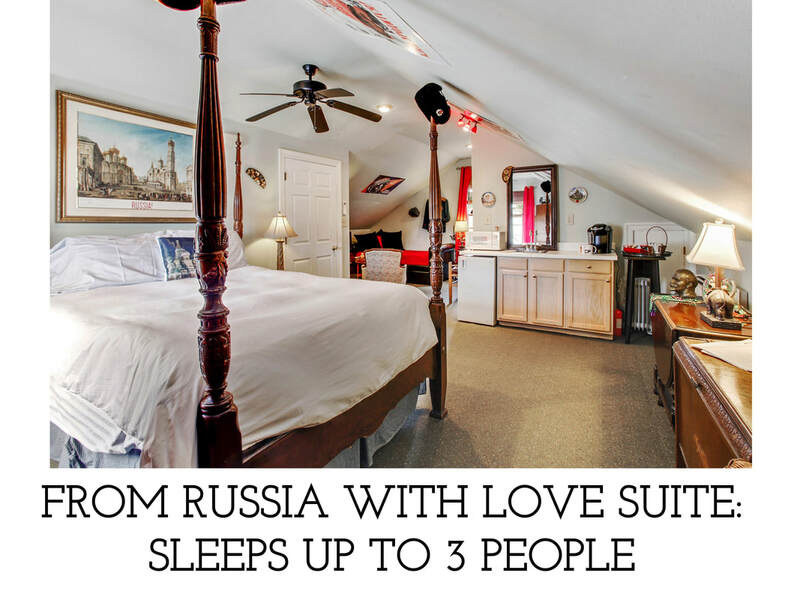 Click through the images above for more information about each room. Below are our standard rates, policies and a link through to booking . Rates are for one or two people. 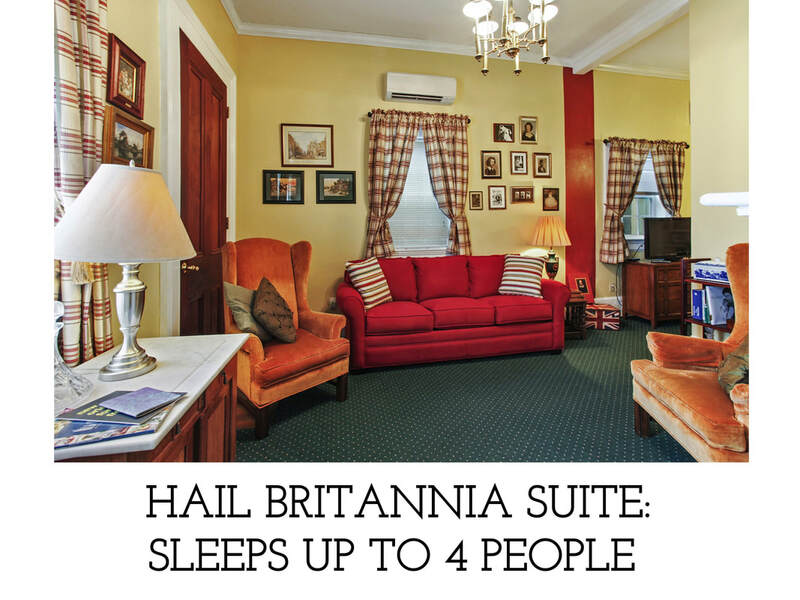 (Each additional guest in the Hail Britannia Suite and the From Russia with Love Suite will be charged $25 per night). We have a two night minimum stay requirement. Four night minimum stays are required for booking Mardi Gras and Jazz Fest, three nights for other holidays and special events. Minimums are flexible with an additional premium. A deposit equal to one night's booking per room is required to confirm a reservation; The balance due will be charged 7 days prior to the arrival date; the full amount will be charged for reservations made less than 7 days prior to arrival. For Mardi Gras and Jazz Fest, holidays and special events, full payment is required at least 30 day in advance of the arrival date. It is also possible to rent all of our rooms, sleeping up to nine people. When booking all three rooms, full payment is required at least 30 days in advance of the arrival date. Normal check-in/check-out times are 3:00 p.m./11:00 a.m. We cannot guarantee we can be available for check-ins later 9:00 p.m. Please note that prevailing state and local sales tax, currently 8.45% effective from July 2018, will be collected in addition to the room rates displayed above.